Description It's Pretty. Awesome. 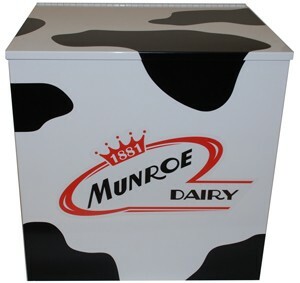 With its durable (and decorative) exterior and insulated interior, our new style milk box will last for many, many years. This box holds and insulates up to nine loose bottles, with plenty of room on top for other items. Vinyl Cowprint is hand-applied.